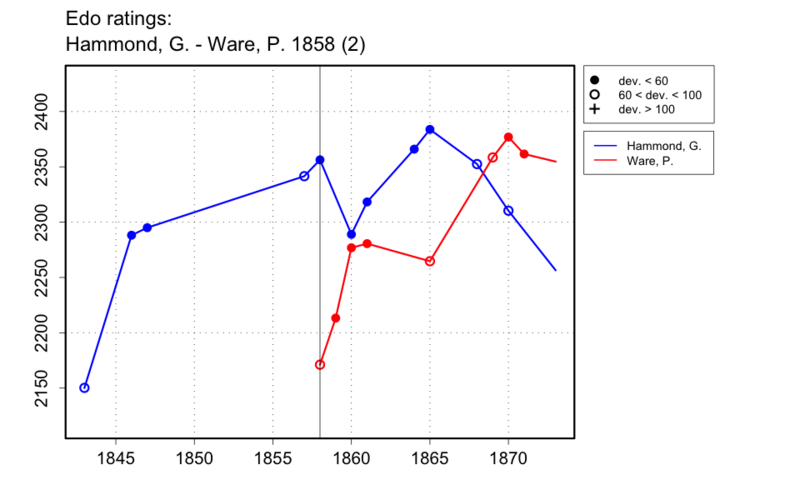 Spinrad lists the Hammond-Ware matches under the year 1859, citing the Albion of 23 Apr. 1859. Fiske, however, gives the date of these matches as Feb. 1858. The results are given in the New York Clipper of 13 Mar. 1858.